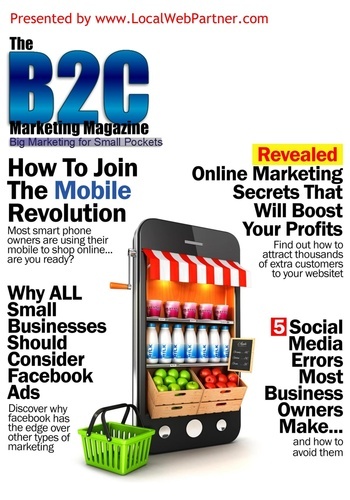 The Internet and Digital Marketing are offering a huge opportunity to all kind and size of businesses to become competitive players in their markets against the big companies with the multi-million Dollar budgets. 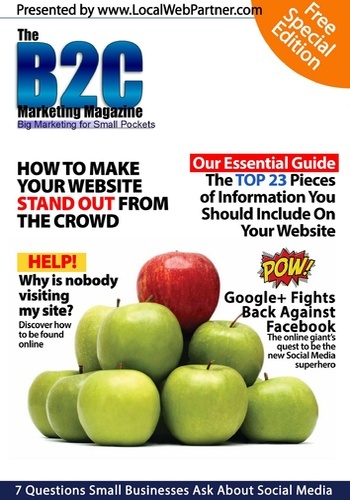 It is not hard to benefit from that opportunity if you have the right tools and know what you have to do and if you have the right team behind you. 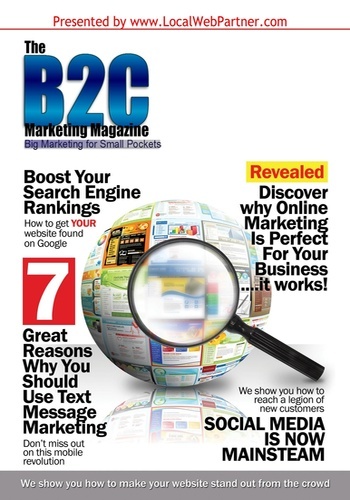 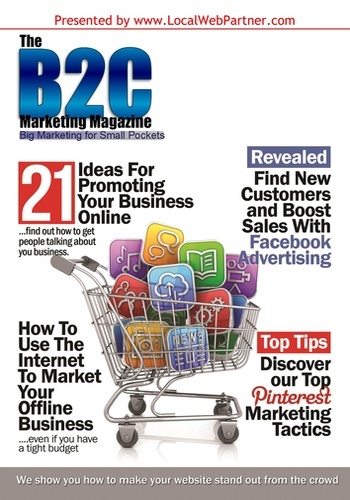 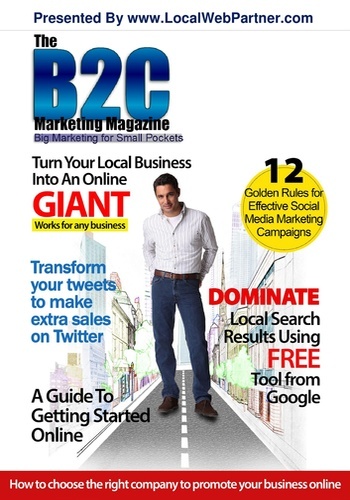 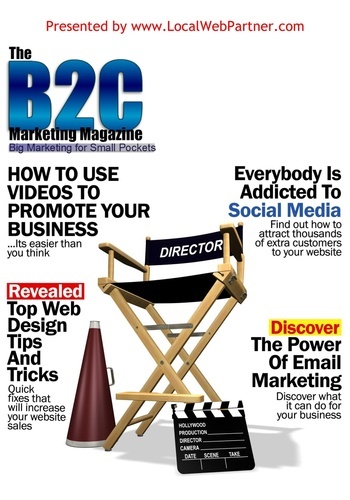 Each issues of the B2C Marketing Magazine shows you how to take advantage of the Internets free resources like the new Google Plus Local and effectively use marketing tools like Micro Blogging platform Twitter to drive more customers to your website and be in full control of your site even if you don't have a technical bone in your body. 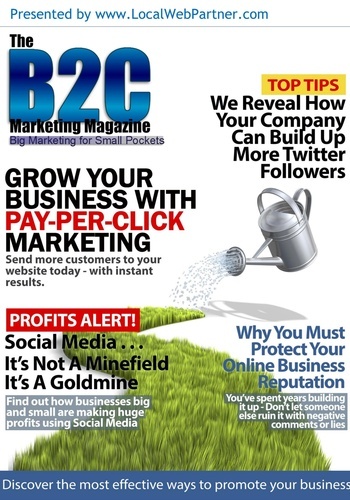 We will show you how you get access to valuable marketing tools which will help you generate new leads and convert those into paying clients improving your ROI. 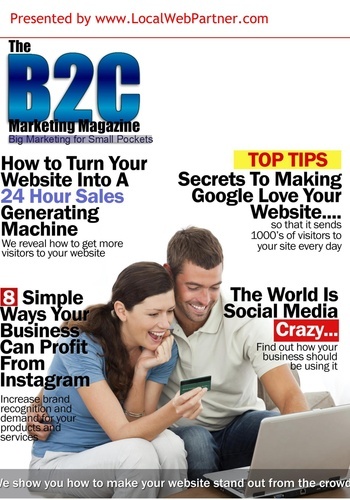 But fact is that the average business owners is usually completely overwhelmed and simply to busy when it comes to the "how to" of using all the different tools available. 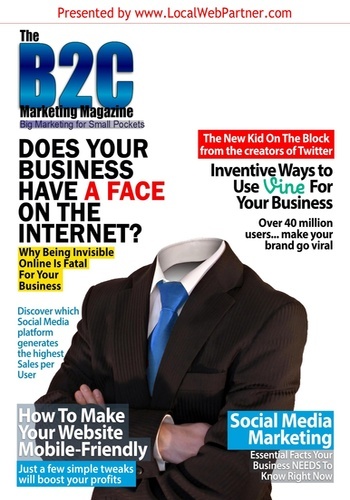 Does Your Business Have a Face Online?